Our hotel partner Stradonia Serviced Apartments has a contest for Unsound attendees. If you like Krakow and want to come back later, you can win a stay in their apartments. Pick up one of their postcards designed by Chino and take a photo of it somewhere in the city. You can also send it to a friend and have him take a photo in his city. We'll announce the winners on 5th December and you have until 4th December to send your submissions. Remember to use #stradonialocalexperience hashtag. and in our festival office. Located in the center of Jewish District in Cracow, 3-star modern and spacious hotel, which offers comfortable apartments and economic rooms. Well equpied and designed interiors, conference room, restaurant and breakfast room. Hotel contains accommodation service, airport transfers, city and optional tours. Best location to explore whole city! Q Hotel Plus Kraków is a modern, four-star hotel with excellent location in the city centre of Kraków. 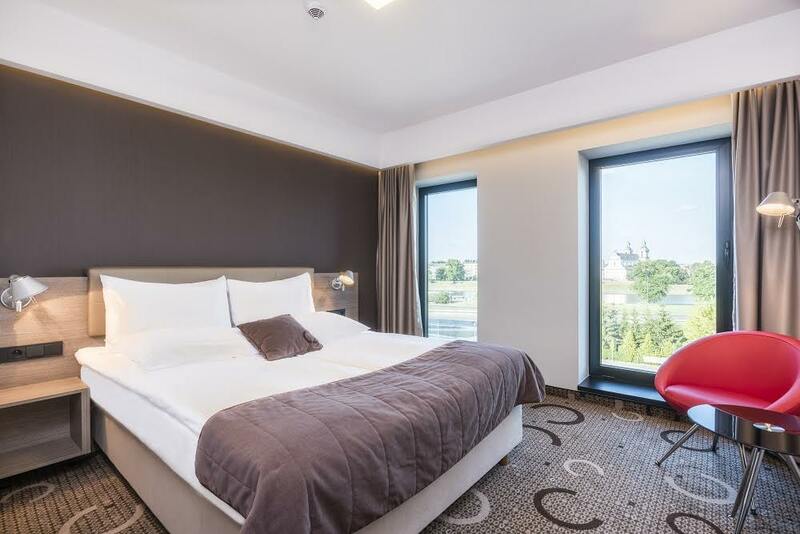 Our property is located only 50m from the ICE Congress Centre as well as in close proximity to the city’s main attractions, such as the Wawel Royal Castle, the Kazimierz Jewish district and the Old Town. In each room you will find comfortable queen bed, coffee and tea making facilities, mineral water, iron and ironing board, safe, mini bar or fridge. All of the rooms have air conditioning and complimentary WiFi.